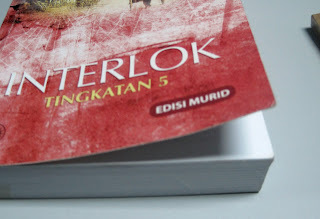 The move to adopt Datuk Abdullah Hussain's novel Interlok as a Malay Literature text for Form Five students has aroused a heated debate over its suitability. Copies of the abridged edition of the novel (see picture above) were distributed to schools in Selangor, Negri Sembilan and the Federal Territories of Kuala Lumpur and Putrajaya before the start of the new school year. But the books have been temporarily put aside pending the Cabinet's decision on the matter. Prime Minister Datuk Seri Najib Razak wants more discussions about whether the novel should be included on the reading list. The idea is to find a solution that everyone can agree on. Teachers and students, meanwhile, are getting restless and they want the Education Ministry to come to a decision about what to do next by tomorrow. It is an exam year for the fifth-formers and they hope the decision-makers realise that.